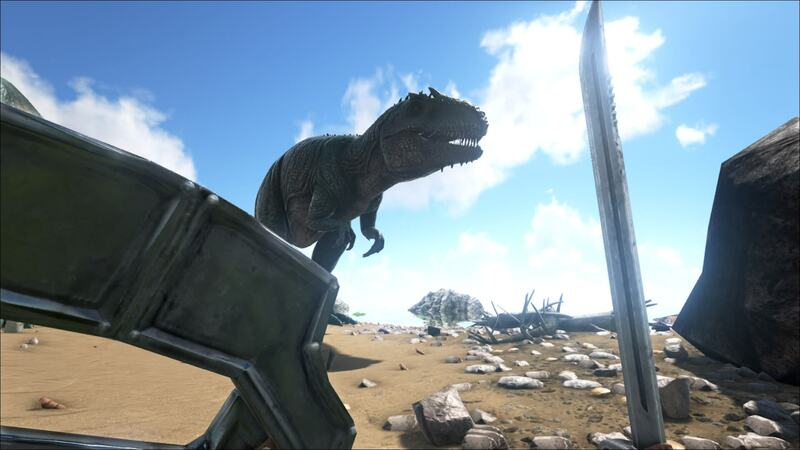 Today patch v222 was released for ARK: Survival Evolved. 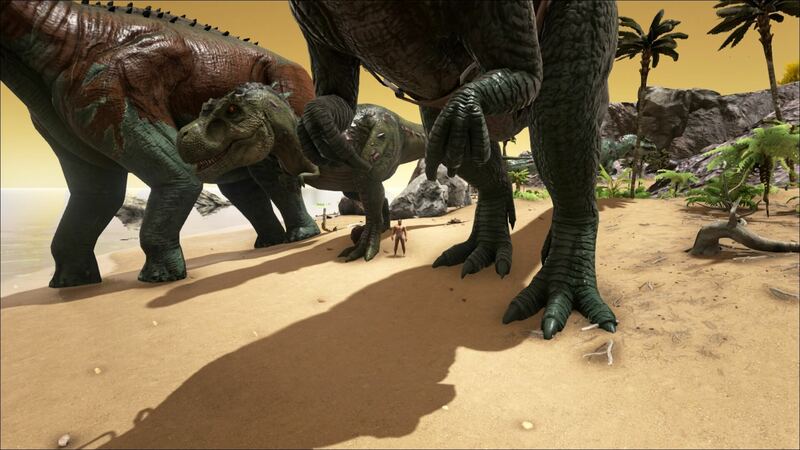 This patch brings us multiple new things, such as a new dinosaur (Giganotosaurus), new items, locking of all item containers and some standard bug fixes and improvements. 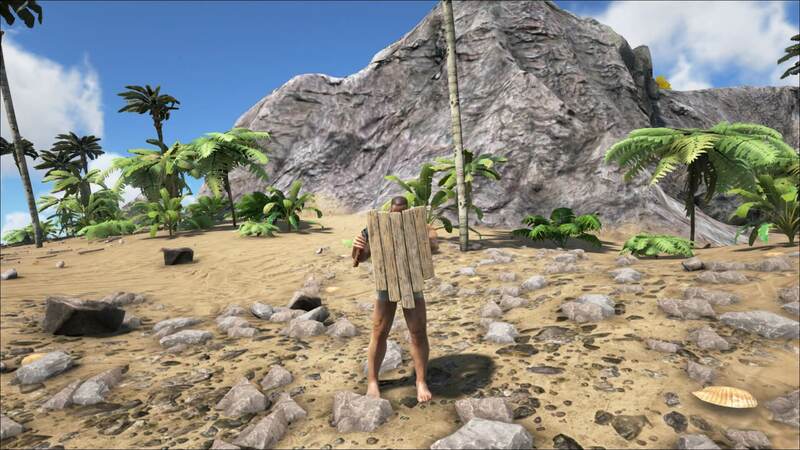 To give an overview of everything you need, such as materials, spawn commands, etc., we have this post fully dedicated to the latest patch! 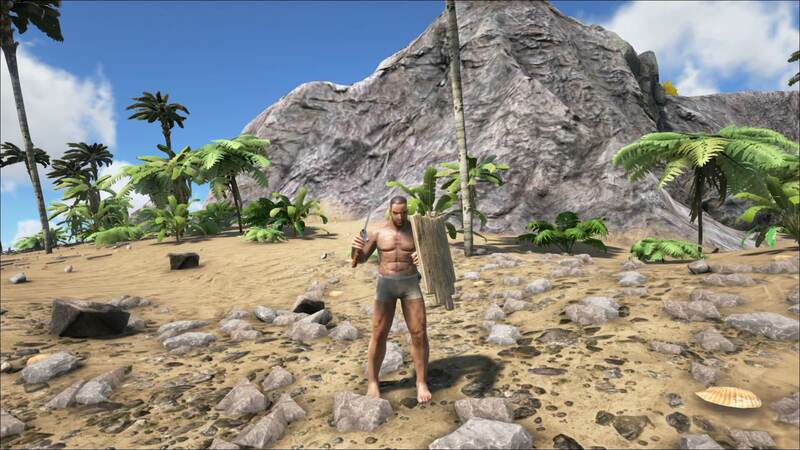 There are also some screenshots included for those that cannot play the game yet but want to see how things look like. Enjoy! 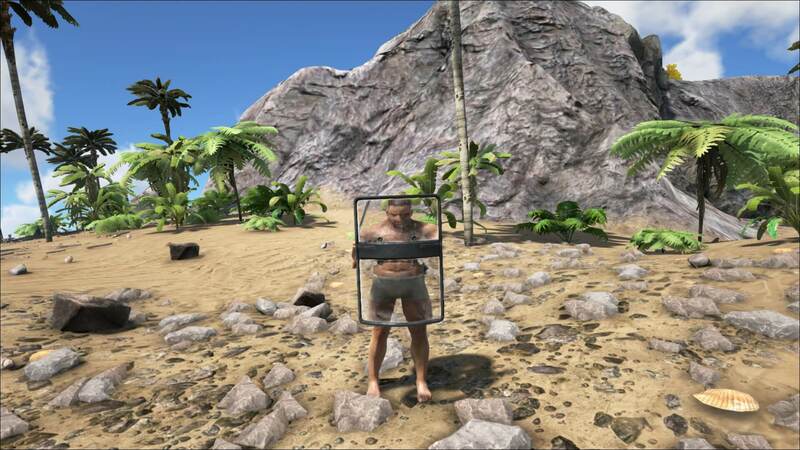 From this patch on it will be possible to lock all item containers. This means that your fridge, smithy, fabricator, etc. 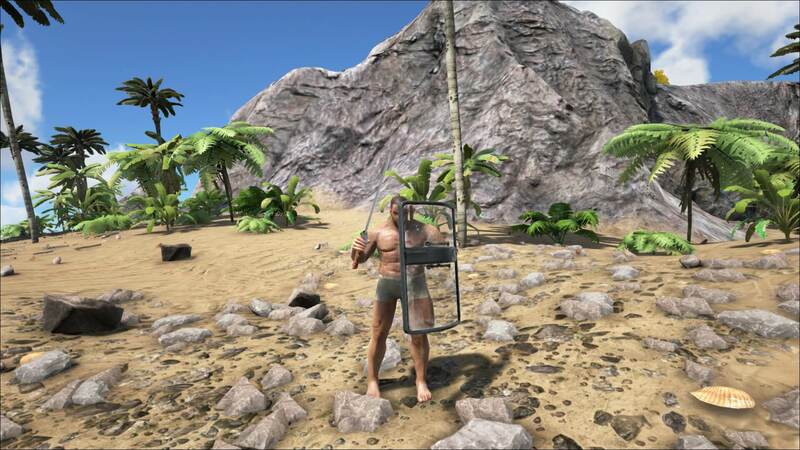 will finally be lockable! However, there is a small catch: it only works (properly) on newly placed structures. So for it to work, you’ll have to build a new fridge, smithy, fabricator, etc. as it doesn’t work retroactively. 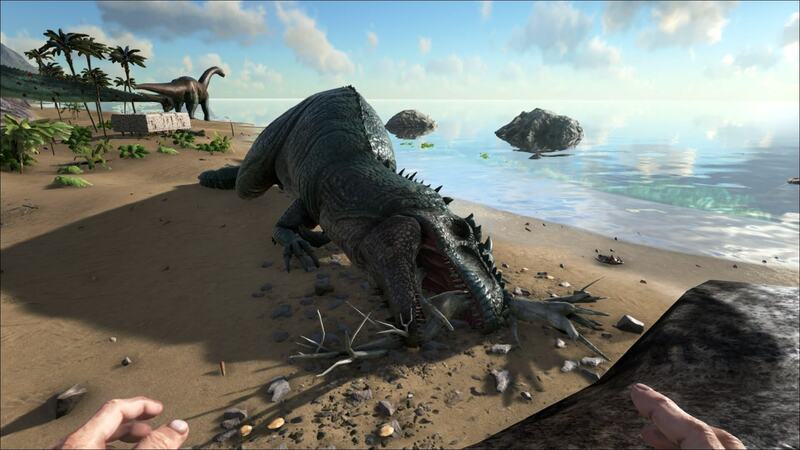 The Giganotosaurus‘ favorite kibble appears to be Quetzal, but this time it doesn’t need as much as the Mosasaurus (luckily). 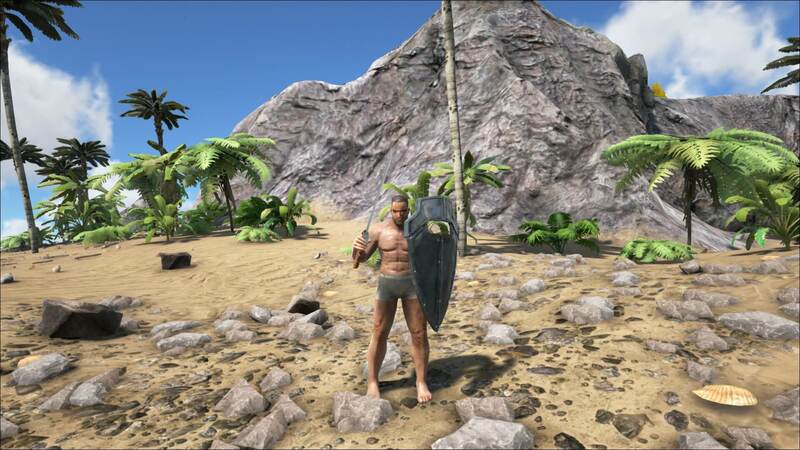 For a level dependent insight in the time, narcotics and food needed, check out the updated taming calculator. 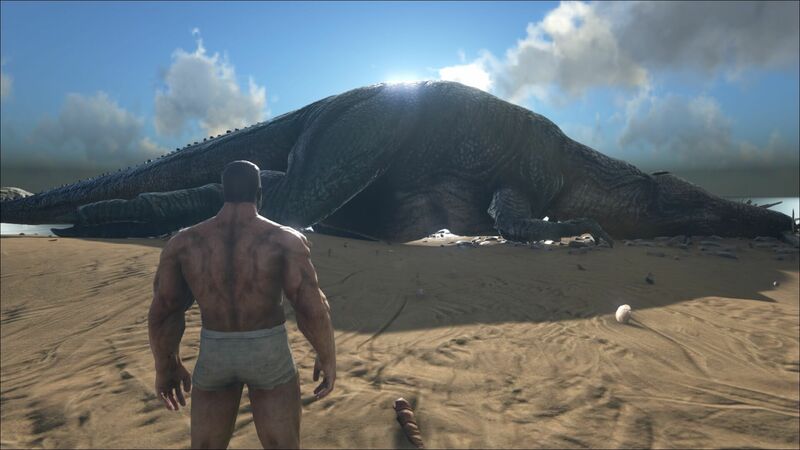 It also seems to be able to breed: so get your pair of Giganotosauruses and start breeding to conquer the Island. 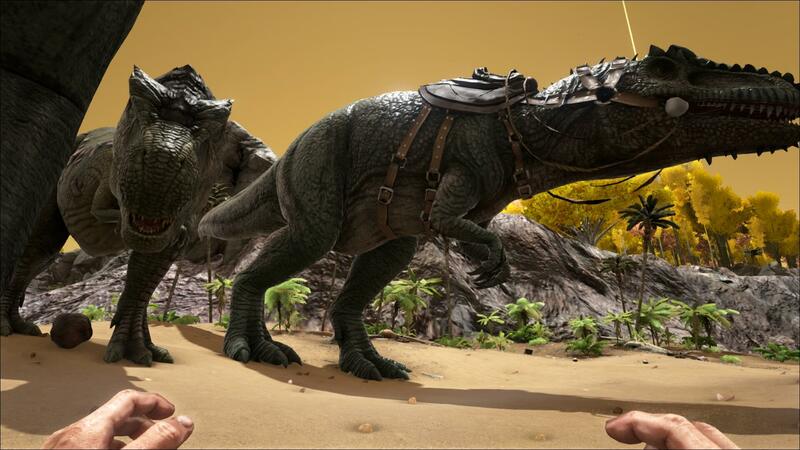 There is a new icon available next to the health icon when you are riding your Giganotosaurus. This indicates the amount of rage it has, so make sure you don’t fill this up to its maximum. Also keep in mind that the rage is filled when it takes damage, so falling off a cliff can result in running for your life if it gets enraged! 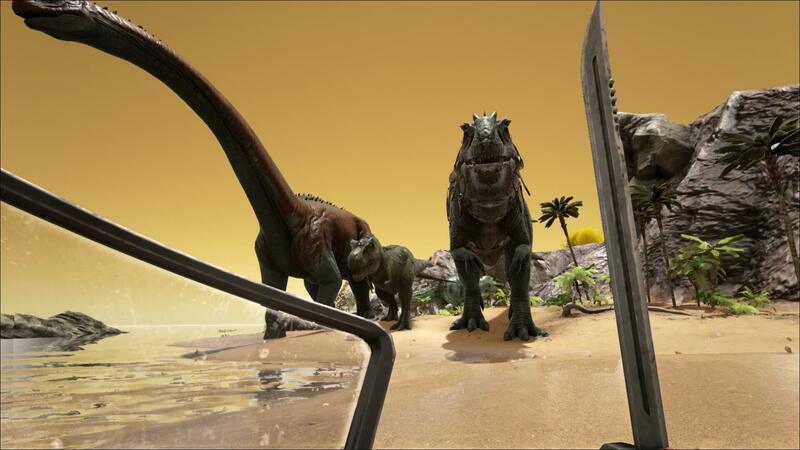 When the Giganotosaurus is enraged, its eyes will glow. 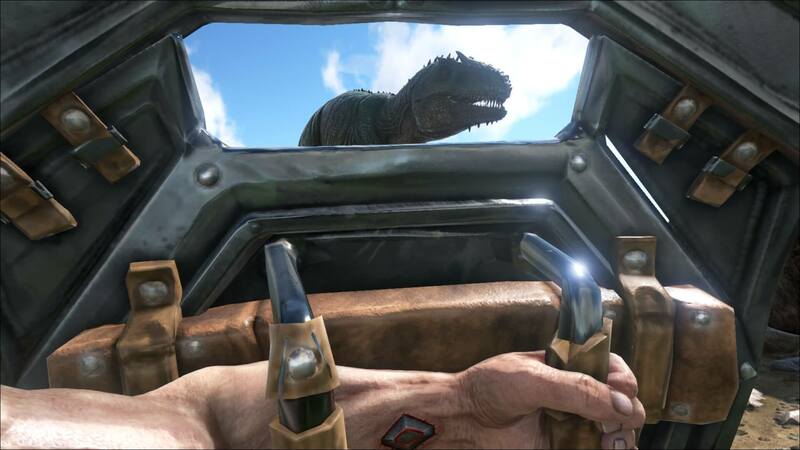 In case you want to know if it is save to approach it again, just take a look at its eyes. If they don’t glow, you’re save to go! Note: It seems that the rage meter doesn’t always fill properly. 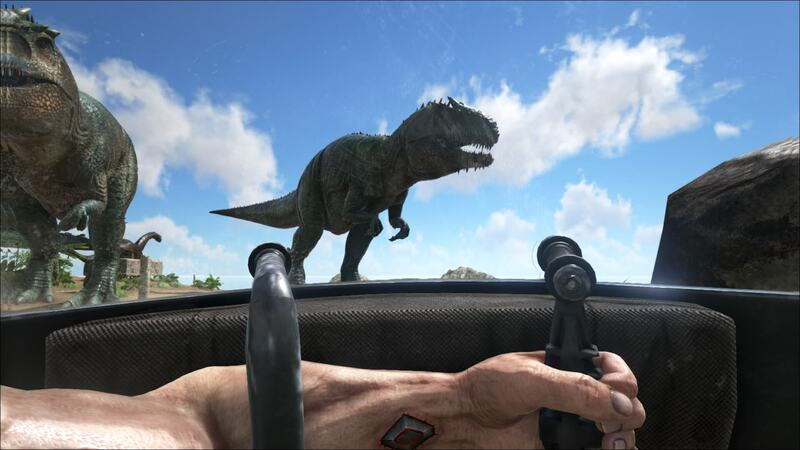 At least on single player there are numerous reports that the rage bar is not filled when being attacked, however falling off a cliff does work. 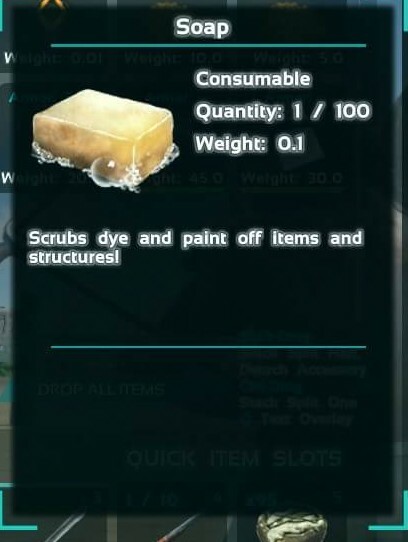 Beware that you will eat the soap if you put it on your hotbar! .ini under ShooterGameMode Sets a cooldown between item repairs in seconds. Setting it to 0 will disable it, setting it to any other number will indicate the cooldown time in seconds. Commandline on startup Sets an extra counter on structures after which they will be automatically destroyed. This is on top of the x-day period after which structures can be demolished by other people. Setting it to 1 will enable the timer and it will act as a multiplier of the “Allow Claim period”, meaning that if set to “1.0” it will take “claim period + claim period” time before it is auto destroyed. Commandline on startup Makes it possible to lock/pin lock all item containers when set to true (so fridge, smithy, etc.) If set to false these will not be lockable. what is the new cost of the stone gates? Stone Behemoth Gateway: 750x stone, 750x wood, 750x thatch. 450 (Stone, Wood and Thatch) across the board for both the gateway and gate. It does the same as eating spoiled meat: so you get a message and a little health is lost. 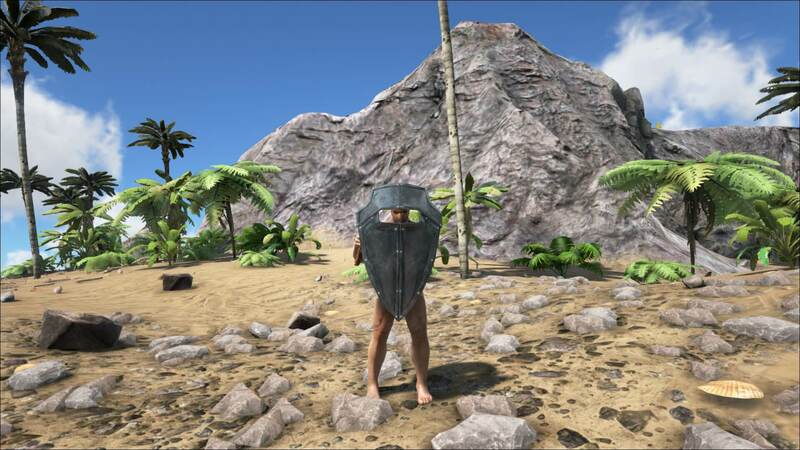 I will add a screenshot of it. 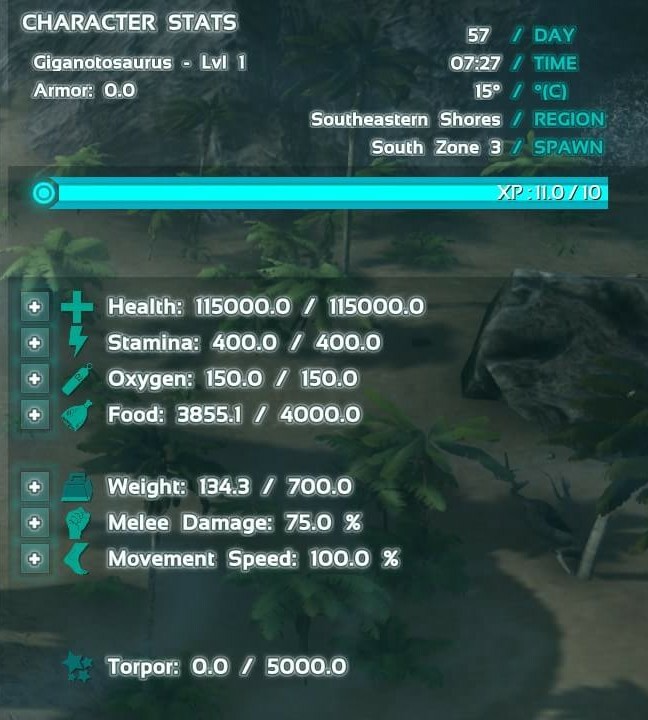 Which level need for giganto saddle?? Very high. I believe 85 but not sure, so I’ll recheck that. If in the meantime anyone knows the answer, feel free to correct me.